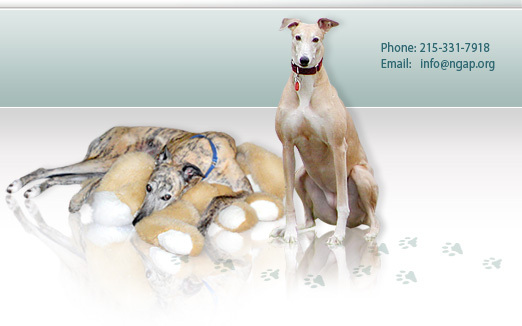 Before the kennel existed and before the National Greyhound Adoption Program existed, we were known as the Delaware Valley Retired Racing Greyhound Association, commonly known as DVRRGA. We adopted greyhounds by flying them to Philadelphia and other destinations and we would meet adopters right at the airport. Occasionally, a few greyhounds would end up at my home. Sometime around 1991 we did a national piece on greyhounds on the Phil Collins show, a popular morning show at the time. We received five thousand phone calls in one 24 hour period! We were sending greyhounds to airports all over the United States; dogs which were never even seen by us. Somehow those dogs were all so good, it worked out. It was then that we changed our name to National Greyhound Adoption Program, or NGAP. The Wingate Street kennel property was originally part of Corbett Industries. Corbett Industries was in the business of rebuilding carburetors and alternators and the two buildings you pass right before you enter the kennel area were used for just that purpose. The company had gone out of business and the bank had taken over. We purchased the property from Fidelity Bank. The area where the kennel now sits could best be described as three railroad sidings and a small forest. Outside of the buildings, on the grounds where the old kennel is now located, steel drums full of either starter or alternator cores were everywhere you looked. The buildings were filled with much of the same, as well as numerous pieces of equipment. Over a fairly short period of time, all of the cores disappeared and/or were sold off until we had only the ‘jungle’ to contend with. In order to get rid of the jungle, we purchased a large machine that literally chewed up trees, thinking we might go into that business once we had used it for our own purposes. We ultimately changed our minds and then sold the machine without loosing any money. Afterwards, the railroad sidings had to be filled in. This took a considerable period of time but once this task was complete and the area was totally clear, we were then in a position to put some form of a kennel on the premises. 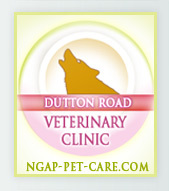 At that point in time, NGAP had no money and Wolf Investments didn’t have that much more. We went to an auction at the Limerick nuclear power plant and purchased a ‘quad’ office trailer, which is four separate office trailer units that get sandwiched together to make one. Each unit was 10 feet by 50 feet. We paid $100. We then had to send men out to Limerick to secure the sides, because the only walls that existed were the outer walls of the quad. The two interior office trailer sections had no walls at all, just a roof. We had to pay to have them hauled to Philadelphia and then put together. This first kennel was designed by my good friend and architect, Albert Taus. It was 2000 square feet; 500 square feet of kennel space and 1500 square feet of living quarters for caretakers. It sat on a gravel lot which we eventually had paved. During the course of the construction, our quasi-electrician must have done something wrong and a fire broke out. Fortunately, we had the building insured and the insurance adjuster must have taken a liking to us, because he gave us as much money as he could on the policy. I can’t say we were aflush with money, but we then had some funds to help in the construction process, which certainly made it all happen that much faster. The construction process continued to move along. One of my tenants owed me some money so I had him construct formica cages for us. We just recently donated these cages a few years ago and, to the best of my knowledge, they are still being used. We were able to house seven greyhounds at that point. As adoptions grew, seven more formica kennels were squeezed into the same area. As adoptions grew even more, airline kennels were placed on top of many of the formica kennels. We decided to purchase another kennel at another auction. If I recall, that trailer cost us $5000. It is now the smallest trailer on the premises. We filled it with airline crates, double-decked throughout. As we continued to grow, we soon placed a large, 53 foot trailer beside the smaller trailer. We were coming up in the world and started buying the industry standard cages that you still see in use today. At that time, we were doing many more adoptions than we do today. Mr. Carl was our volunteer driver and often had to drive to five different veterinary facilities in the area with our greyhounds. Transportation in itself was a logistical nightmare! We eventually moved out of the smaller trailer and converted it into our first surgical facility. With funds raised with the help of Petco, we later added an adoption trailer and then an additional two. It wasn’t long before we outgrew our small surgical trailer and had to adjoin it to one of the other trailers to be used as a waiting room, bathing area, post-op area, and laundry area. Finally, the last trailer, our current main kennel, arrived onto the site. For several years it was used as the boarding kennel until one day, one of our clever kennel staff members suggested that we flip the boarding trailer with the main kennel. This afforded us more cages in the main kennel as well as our two long sandy runs. Our two long runs were once railroad sidings, about 50 inches deep and the width of a railroad car, and they needed to be filled in. For many years, just after a rainstorm, a hole would emerge where sand slipped into a crack in the fill. The last addition to our compound was the large sign over the entryway. Soon this will all be gone and Wolf Investment Corporation will build new buildings on this hallowed ground. One of our dedicated adopters had his ashes scattered in the stone area next to the main kennel when he passed on. Our staff recently sifted through the stone, collected his remains and brought them up to our Dutton Road location so he will still be with greyhounds. This site has served us so well for so many years but appears so unspectacular when we compare it to our new facility. The fact remains that 7000 greyhounds were adopted through our Wingate Street kennel. 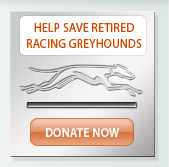 Many others, whether greyhounds or not, passed through these portals and were saved. It is a special place. I recently watched archaeologists on Channel 12 digging through the city of New Philadelphia, Indiana, which was the first all-black city in the United States. It was founded in 1864 and remained a thriving city for quite some time but today it is just fields. The archaeologists were searching for any small scrap from this once historic town. I don’t suppose that 150 years from now anyone will be looking for small scraps from National Greyhound Adoption Program, but that is alright; we have moved on.